11am-2pm, 4:30pm-7:30pmFreeOne child 12 & under per paying adult. Lunch: $8.84Dinner/Weekend: $9.63Must be 65 years or older. Cannot be combined with other offers. 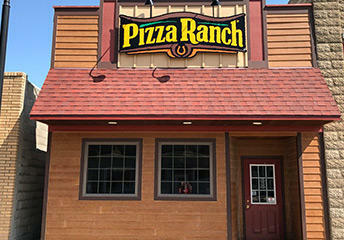 Bring the crew to Pizza Ranch in Yankton. We have legendary pizza and chicken waiting for you on our buffet. Let us know what you’re craving—we’ll make it fresh and bring you the first slice. Fill up with sides, salads, Cheesy Ranch Stix, and of course our famous Cactus Bread. Or let us deliver to your door with online ordering! Situated right on Broadway, our central location means that legendary food is only minutes away! We’re the perfect spot for your next fundraiser or gathering, with a community room that seats 75 guests. Stop in for a Community Impact event and support local organizations, or schedule your own fundraiser! 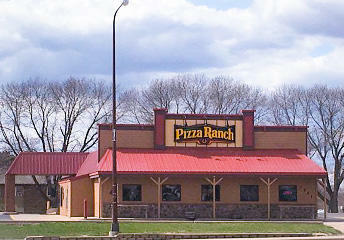 This was the best trip we’ve made to Pizza Ranch. It would have been fantastic if there would have been ranch dressing for my salad, but everything was good. The service was poor...There were few customers in comparison to our other visits. They seemed to be short of help as the tables were not bussed and I had to clear our own table. Our napkin holder was empty. The food was good as usual. The way it looks is they are in trouble and I am afraid it might close. We really like the place and we are sorry to see it go down hill. 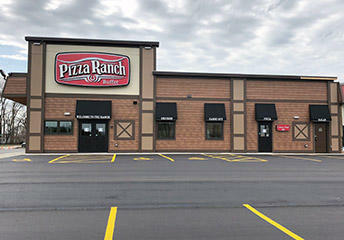 I was very disappointed that I couldn't use my rewards for delivery...I only use pizza ranch for delivery. I've never had a problem until this last order....definitely going to influence my future orders...bummer for all involved. Always have what we like! And if not, they make it! Great food combined with great service. Always a good deal, and best soft serve ever! Great food and we love the $5.00 deal! !